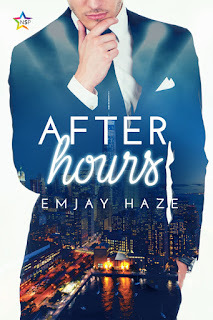 Today I welcome Emjay Haze to the blog, to answer a few questions and share her new MM contemporary release, After Hours. Alex Michaels is a successful manager for a Wall-Street financial firm and lives in a beautiful hi-rise apartment overlooking Central Park. Anyone looking in from the outside would say Alex has it made, especially his working-class parents who wanted more for their only son. Nick is working his way through graduate school with dreams of becoming a teacher so he can help kids like himself. With his parents cutting him off and leaving him with nothing but a student apartment and low self-esteem, he’s determined to make something of himself in spite of them. Even Nick’s club friends think Alex is too good for him, but Alex keeps showing Nick how worthy he is. Alex learns a lot from Nick, too—how not to give up on his dreams. 1. Is there a genre you haven’t written in that you would love to write? I used to love to read spy novels and my favorite author was Robert Ludlum. His books were so intelligent and interesting. I think it would be a lot of fun to write a book like that. I can’t promise the main character wouldn’t be a gay man, but the story wouldn’t really be about that, it would just be a part of him. 2. When did you know you wanted to be a writer? I think I always wanted to be a writer but didn’t really know how to start. I took a novel writing workshop from writer’s digest probably thirty years ago, before I had kids and really knew nothing. I learned so much from writing fanfiction and then getting a degree in creative writing. 3. Do you have any pets? If you could choose any pet you want, fictional or real, what would you choose? I have a year and a half old, seventy-five-pound mutt named Max who’s the love of my life, lol. A cat named Tux, who stays outside most of the time because of Max, a gecko and tank full of tropical ocean fish. I used to be totally a cat person, but our last dog Toby, biggest sweetheart ever, and Max have worn me down. 4. Who is your favorite character in a book/story you have written and why? I can’t answer that. It’s like picking your favorite child. I love all of my guys equally 😊. However, there are some minor characters that I absolutely loved writing. In this story, After Hours, I love Belinda, Alex’s assistant and his friend Andrea. I like to write strong sassy girls who make my main character’s lives more interesting. I also enjoyed writing Alex’s parents. You’ll see more of them in the next two books. 5. What’s your writing process like? Are you a plotter, a pantser, or both? I’m definitely a pantser. I try making a general outline, but don’t usually get very far, because I don’t know where the story is going yet. I’ve gotten better, but I really just like writing and seeing where stuff will go. I love when my characters surprise me. 6. Why did you decide to write Gay Romance? About 9 years ago, I started reading fanfiction based off a celeb, and it was all m/m stories. I fell in love with the genre and wrote fanfic myself for years when I decided to get one of my stories published. I’ve been writing gay romance ever since. 7. What are you currently working on? What can we expect from you in the future? 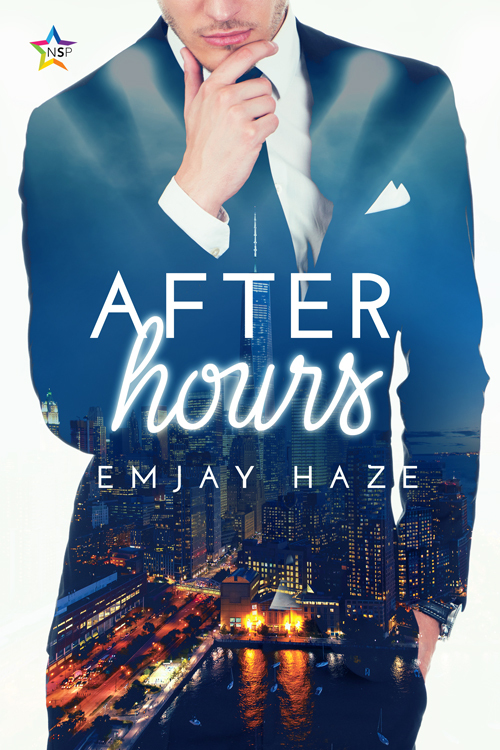 I’m currently working on the sequel to After Hours, called Afternoon Delight. I’m also working on a holiday story for an anthology about a bi-sexual man who lost his wife a few years ago and he meets a man on a singles cruise. 8. If you were stranded on a desert island, besides food and water, what could you not live without? My phone and laptop, definitely. I need both, lol. I spend way too much time on my phone playing games, but the laptop is an extension of me. It’s where I write. 9. How do you come up with ideas for your stories? Usually driving in the car, lol. There’s one road that’s near my house and it’s tree-lined. Not sure if that’s why, but that seems to be where ideas just pop into my head and I’ll think, that would be a great story. I have to quickly write them down, though, or I’ll forget them. 10. Out of any characters you've written, who are you most like? I don’t think I’m like any of my main characters, lol. But, I traits that either I am like, or I wish I was like, pop into some of my characters, especially the secondary ones. 11. What's the biggest challenge you face when writing? Getting started. Focusing. I get easily distracted. My phone’s sitting right there open to my favorite game, email’s open on my desktop, etc. Sometimes, I close all my browsers and put the phone away so I can concentrate. Once I get going though, it’s on.